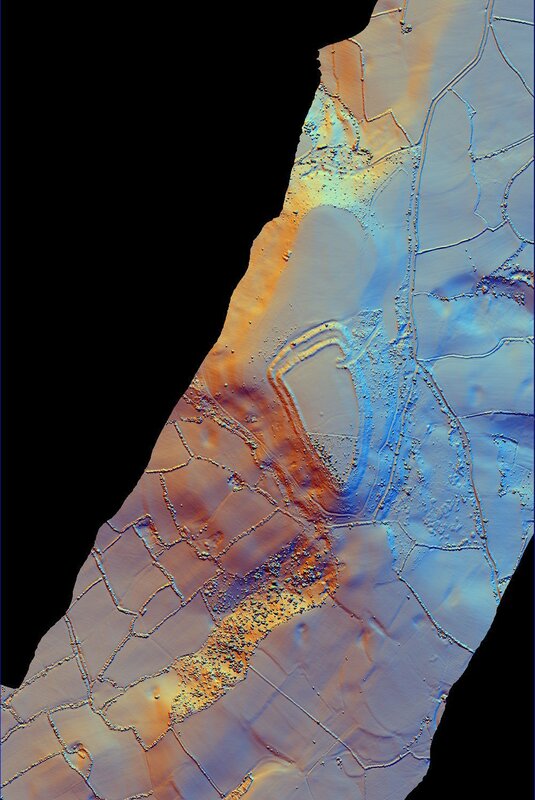 Dumpdon Hill is an Iron Age Hillfort near Honiton in Devon, England. There is a small car park below Dumpdon hill and a track which leads up through the original entrance to the fort. The ramparts are well preserved and 2 metres high in places. Despite the imposing position and strong defences, it is believed that the fort was unfinished and probably never inhabited. Photographers notes: This is a really nice Hill Fort with great views but there is hardly any information about it – except for some rumours of occult practise in the woods! 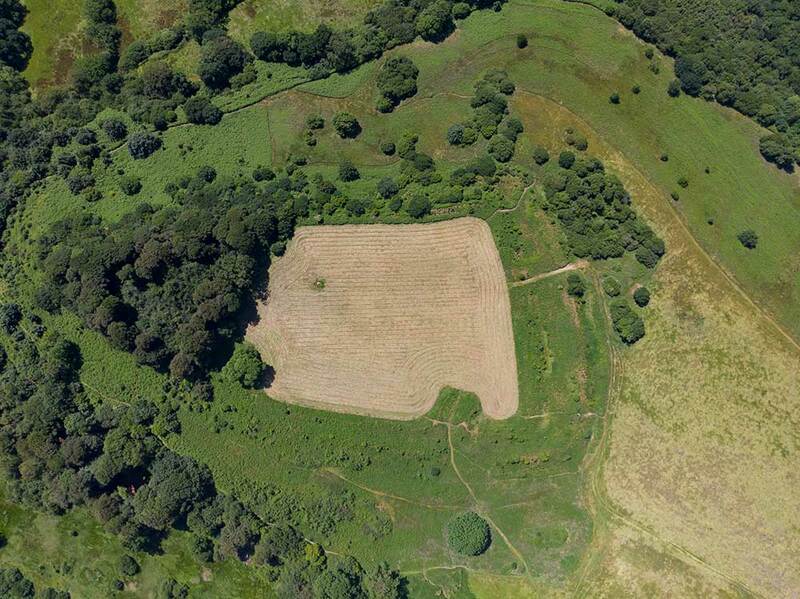 It looks like a great location for a Hill Fort with views in all directions. There is a large field to one side of the fort which is where I imagine the village would have been – with no supporting evidence whatsoever 🙂 A good place for RC plans/gliders and dog walks/picnics. Summary: Bivallate and commanding contour hillfort located on hill top at S end of Upper Greensand ridge between River Otter and Luppitt Brook. Steep surrounding slopes. 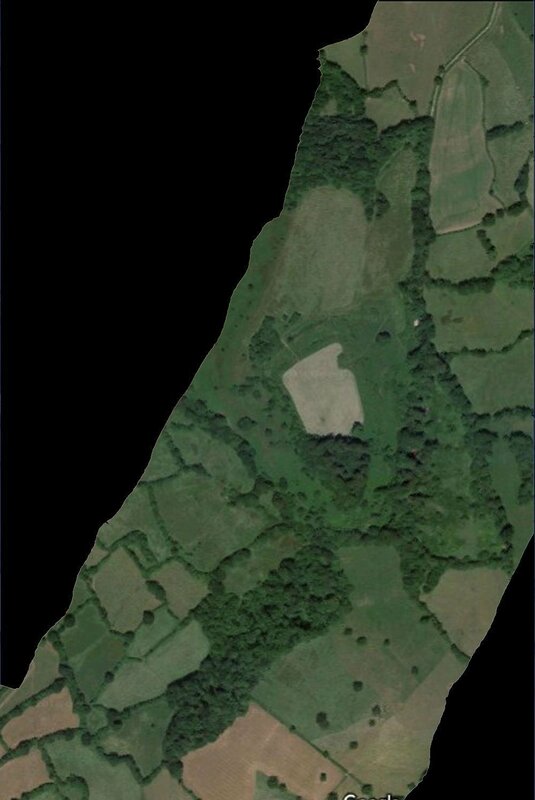 Flat topped and triangular shaped, with internal area 2.6ha. Generally bivallate throughout, with the inner bank c. 1.3m high internally and 8.3m externally and 4.5m across, with irregular crest showing best and upstanding on N and W sides, with slight traces of outer ditch in parts. Outer bank on N lies c. 15m-30m away across level berm with outer ditch, averaging c. 1.2 metres in height and 3.1 metres in width. On E and W rampart represented by scarping of hillside, but with no inner slope. Entrance near NE apex with substantial inturns to inner bank to give 20m passage and appears to curve to N through outer rampart. Modern track through banks on NNW. Small excavations as result of windblow by M. Todd 1990. Little found, but inner rampart on E side constructed of 2.15m wide by 0.4m chert blocks. Rough pasture interior and scrub. surrounds. Generally well-preserved national Trust site. On 1st Ed. OS map (1889). Undated.